The church building was constructed in 1794 and Holy Trinity has served the local community as it has grown from small village to suburb of Liverpool. The parish of around 8,500 has a strong family feel with generations in the area. Student accommodation is being built close by, but in neighbouring parishes. 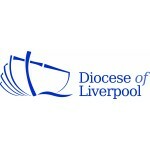 The parish contains six schools: the Blue Coat School and the Royal School for the Blind, where the clergy have historically held chaplaincies, two primary schools, one of which is a C of E school and two Jewish Schools. The church congregation reflects the diverse mix of the local community. They are debt free, pay their parish share in full and offer buildings in good condition. They have worked on a vision which has laid good foundations and is now ready to refresh. They are supported by a paid part time Youth and Families Worker and Parish Secretary/Administrator. Holy Trinity is part of a group of three churches that includes St Mary’s, and the united benefice of St Bridget and St Thomas. The Rector will be expected to play a full role within the group. The PCC and congregation would like to reach out to more young people and teenagers increasing their work with young people and they want to build further links with the community. implement a communications strategy for the church. investigate not only growth of the involvement of children and young people, but also other sections of society such as the elderly.